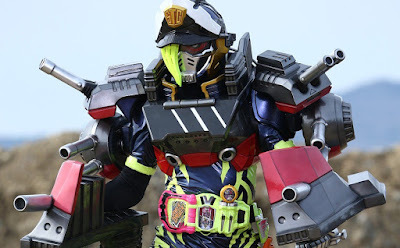 Kamen Rider EX-AID Episode 20 Clips - Man The Cannons And Prepare For Action! When teh Gamer Rider called Brave cannot handle the power of the new Gashat Gear Dual Beta that he previously acquired, it's time for Taiga to step in! Kamen Rider EX-Aid episode 20 clips feat, the debut of Kamen Rider Snipe Simulation Gamer Level 50 are now online brought to you by Filip "Man from Japan" Judar! "This power... is just... too much..."
Kancolle must be so proud of you, Sunaipu.